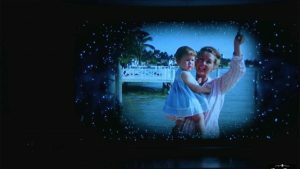 Carrie would have been 61 on October 21st. 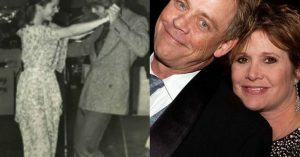 Both Fisher’s real family and her Star Wars family took to social media on Saturday to post tributes and messages of love for the late star. She was a force and continues to inspire. 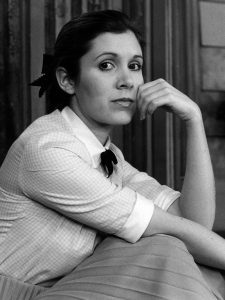 Her kindness, courage, humor and light are always with us. 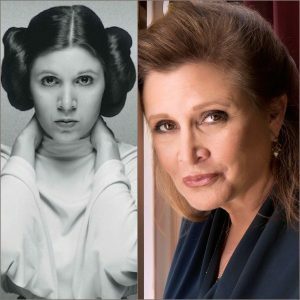 While she may be gone, she’ll always be remembered as an accomplished author, comedian, memoirist, and outer space princess from a galaxy far, far away. 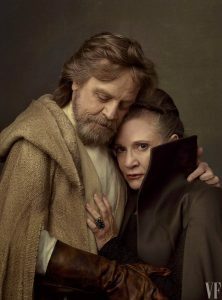 The Star Wars princess is on our minds more than ever now that the trailers are out for The Last Jedi, with her image as General Organa front and center. 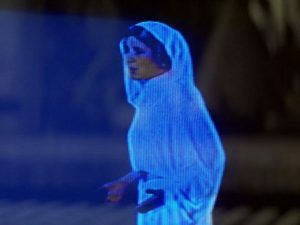 I miss you Carrie. You are my Dorothy. Your legacy is alive and well in your daughter and in girls and women all over the planet. Somewhere over the rainbow your star shines as bright as ever. 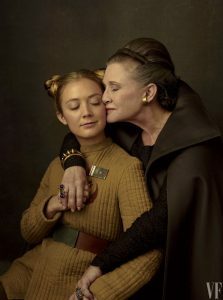 Last December, Billie Lourd, the 25-year-old daughter of Carrie Fisher and granddaughter of Debbie Reynolds, faced an unthinkable tragedy: losing Fisher and Reynolds within one day of each other . But humor has helped her cope after the passing of the two most beloved women in her life, she told Sarah Paulson in Town & Country’s September issue . “Is it scary?” Paulson asked. Must have been a hard day for Carrie’s loved ones. Unimaginable that last year would literally be the last year for celebrating her birthday. Exceptional article. I was checking out frequently this specific website that i’m prompted! Handy details particularly the remaining phase 🙂 I maintain this kind of info very much. I became searching for this specific specified info to get a long time. Many thanks plus all the best. I just want to say I am new to weblog and actually liked you’re web blog. Likely I’m likely to bookmark your site . You certainly come with very good writings. Thanks for sharing your blog. Excellent post. 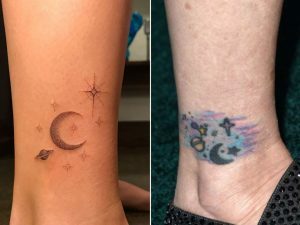 I was checking constantly this blog and I’m impressed! Extremely helpful information specifically the last part 🙂 I maintain such info much. I used to be looking for this particular information for a long time. Thanks and best of luck. I simply want to tell you that I’m all new to blogs and actually enjoyed this blog. Very likely I’m going to bookmark your website . You definitely come with very good articles. Thanks a bunch for sharing with us your blog site. I simply want to mention I’m new to blogging and truly savored your blog. Almost certainly I’m planning to bookmark your blog post . You actually come with outstanding stories. Cheers for revealing your website.